On Monday, Reuters reported “The yen looks set to fall further and could hit 105 versus the dollar, although it is unlikely to drop as smoothly as it has done so far” this was attributed toa portfolio manager for FX trading fund Rhicon Currency Management. Forex market analysts of Trade-24 recently spotted two major trends that have been dominating the markets. The first is the actual collapse of the yen. Most of the trading in the yen occurs against the USD, but JPY crosses are also active. Pairs like the EUR/JPY, AUD/JPY, NZD/JPY and others have surged in recent months. The AUD/JPY skyrocketed more than 12% since the beginning of the year. The USD/JPY has been the center of attention, exploding from the low 80’s to hit near 100 last week. Although the pair has already surged more than 20%, Trade-24 analysts forecast that the pair will extend gains to hit 110 this year, making it one of the best opportunities this year. Trade-24 analysts explain the reasons to be USD/JPY bullish (or JPY bearish): For one, the announcement of the Bank of Japan that it would flood the market with 7 trillion yen ($73 billion) every month, buying Japanese government bonds and other assets in Japan will hurt the yen. For another, the buying of Japanese government bonds will diminish the yield on these bonds, prompting Japanese investors to start buying foreign assets in order to look for higher yields. 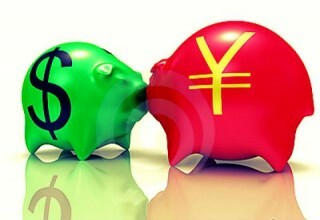 This will increase demand for foreign currencies by Japanese investors, driving the yen even lower in next months. The Japanese prime minister is backing the actions of the bank of Japan, and this is another reason indicating the JPY will plummet further this year. Trade-24 forex trading analysts forecast superior returns from long positions on currencies that have higher interest rates, like the AUD and the NZD, against the JPY that is being printed by the BOJ. They say the USD/JPY will also benefit from the quantitative easing monetary policy of the Bank of Japan. Analysts are forecasting the collapse of the gold. Trade-24 staff report gold will crush till $1270 in the next weeks on technical reasons. The main reason is that gold has broken through its long term range sized around $250. When a range is broken, usually, the afterward move is expected to be the size of the range.